Glass ionomer luting cement with fluoride release. Extremely low film thickness optimizes fit and marginal integrity. Bonds chemically to enamel and dentin. Radiopaque. 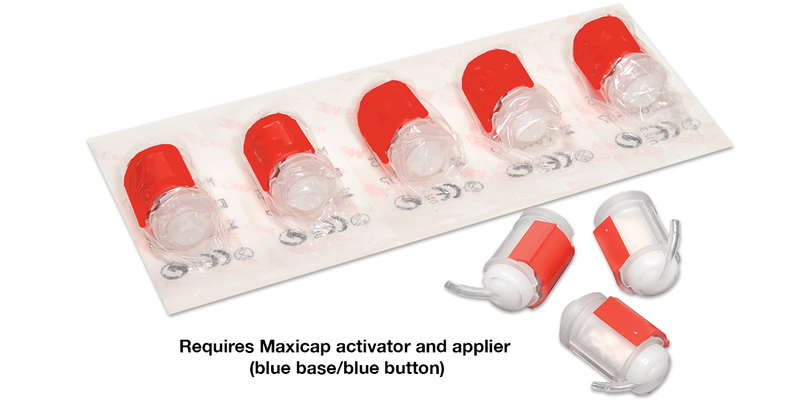 Maxicap capsules (larger than Aplicap) require Maxicap activator (blue base) and applier (blue button).